The bluffs along the Missouri River in northeastern Nebraska offer natural beauty with miles of densely wooded areas and pristine waterfalls, while central Nebraska’s tallgrass prairies and scattered woodlands preserve the state’s homesteading heritage. Cities like Omaha, home to the Henry Doorly Zoo (deemed one of the best in the nation), are historical and cultural centers. 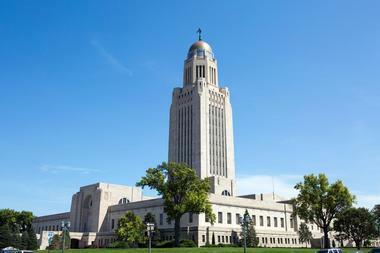 Here are the best Nebraska places to visit. Sunken Gardens, which can also found in this park, is a stunning terraced garden with paved pathways, a waterfall, a reflecting pond, and an ornate gazebo. There are also various outdoor activities at the Branched Oak State Recreation Area, including swimming, fishing, boating, hiking, and an equestrian campground. The Aardvark Antique Mall, Abbott Motocross Park, and the Roca Berry Farm are a few of the city’s other must-see highlights. 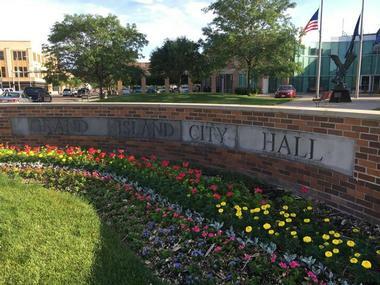 Grand Island boasts a wide range of activities and attractions as well as seasonal events throughout the year. Visitors can enjoy everything from splashing around at the Island Oasis Water Park to looking into the past at the Stuhr Museum of the Prairie Pioneer. In the spring, visitors can get a one-of-a-kind experience when more than 80% of the world’s population of sandhill cranes gather on the Platte River, bringing millions of migrating geese and ducks with them. Among other top attractions are two art galleries, the Grand Theatre in downtown, Fonner Park, Heartland Public Shooting Park, and Fred’s Flying Circus. 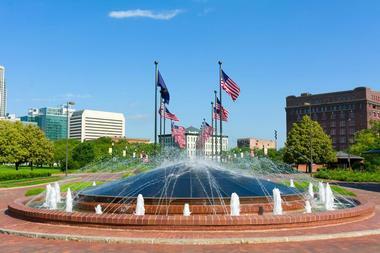 Norfolk offers a small-town vibe with big city attractions, shopping, recreation, and festivals. Enjoy leisurely activities such as antiquing, exploring 200 fossils at the Ashfall Fossil Beds, or walking along the historic Cowboy Trail. Visitors can relax and have fun in the great outdoors with activities like geocaching, kayaking, canoeing, golfing, and biking the Maskenthine Lake Bike Trails. They can immerse themselves in local culture at the Elkhorn Valley and Madison County museums or revel in the beauty of the Norfolk Arts Center. Kids will have fun playing mini golf at the Willow Creek Recreation Area, or splashing the day away at the Memorial Aquaventure Waterpark. 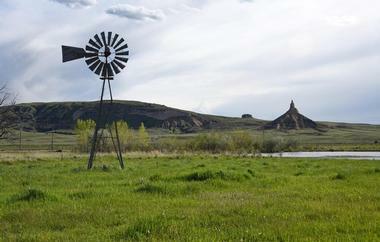 Fremont is northeastern Nebraska’s weekend getaway destination. 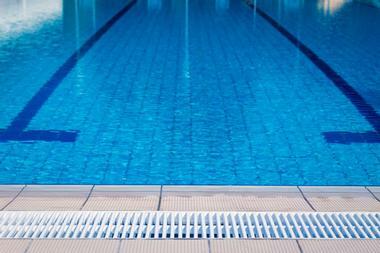 Close to the metropolitan centers of Omaha and Lincoln, its biggest draw is water sports. Water-related activities include the Splash Station Water Park, Bryson’s Airboat Tour, and the numerous recreational opportunities at the Fremont State Lakes. For those who prefer dry land, there are unique shopping opportunities at downtown stores, delicious dining options, and a vibrant arts and culture scene. Visitors will also enjoy attractions such as guided tours of the Fontanelle Orchard, vintage toys at Harold and Leona’s Toy Museum, and ice skating at the Sidner Ice Arena. Weekends here seem a whole lot shorter. Columbus offers a wide range of activities and attractions from the historical to the adventurous and everything in between. Take a self-guided tour of the historical markers throughout the city, such as Andrew Jackson Higgins, Ferry Rock, and the Quincentenary Belltower, to name but a few. Explore the Agricultural Park, the Platt County Museum, and the Statue of Liberty Replica as well as other historical sites. Get outdoors and enjoy one of the many cycling, jogging, or scenic walking trails along tree-lined parks and the city’s two lakes. Visitors can also experience one-of-a-kind attractions like the Lincoln Highway Scenic Historic Byway, the Pawnee Plunge Water Park, or an adult beverage at historic Glur’s Tavern. Lexington boasts a variety of recreation activities both indoor and outdoor, including eight parks, a skate park, and over 100 acres of outdoor areas including a growing bike-hike trail system. The Family Aquatic Center is a city highlight, featuring zero-depth and Olympic-sized pools, a water slide, and a splash pad. In addition, the newly developed Lexington Fieldhouse, a 27,000-square-foot indoor activities building, will include archery, soccer, golf instruction, and more. Visitors can also immerse themselves in the history and culture of the city by visiting one of its museums, such as the Dawson County Historical Museum, the Robert Henri Museum, and the Heartland Museum of Military Vehicles. Seward is known as Nebraska’s official Fourth of July city, but maintains its allure all year round with its rich history and attractions. Visitors can learn about the town at the Seward County Historical Museum and the Seward Memorial Library. Outdoor recreation activities can be enjoyed at the Centennial Park, including soccer, sand volleyball, baseball, and more. Across the street is the Seward County Fairgrounds, which boasts an agriculture pavilion, harvest hall, 4-H and livestock centers, grandstand, and an arena and features seasonal festivals. In historic downtown Seward, there are several shopping and cultural opportunities, including the Olde Glory Theatre and Community Hall and the Rivoli Theatre. This national monument has a deep and rich human history dating back to the Native Americans and settlers. This 800-foot historic landmark towers above the North Platte River, and has served as a beacon for travelers throughout history from the Oregon, California, and Mormon trails. Visitors can explore the park and its various trails, including Mitchell Pass, Summit Road, and the North Overlook. Along the way, guests will see native trees, wildflowers, grass prairies, various birds and mammals, and geological and historical features. Ranger programs include informational hikes on the area’s history and geology, with living history stops along the way featuring rangers in traditional garb from the past. 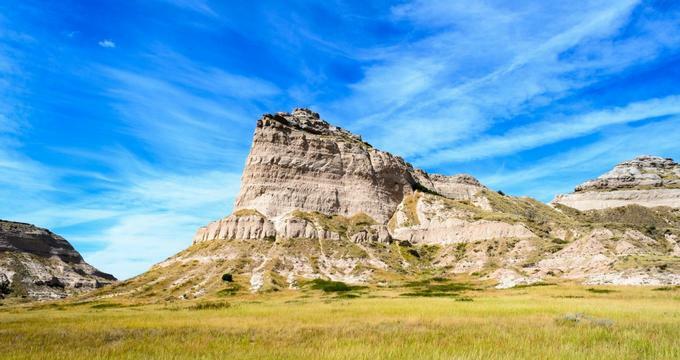 Fort Robinson State Park in known as the state’s most popular park in western Nebraska with over 22,000 acres of stunning Pine Ridge scenery. The park offers amazing lodging opportunities, exquisite campgrounds, abundant outdoor activities, and a rich Old West history; it even boasts herds of longhorn cattle and buffalo. There are several tour opportunities within the park, from horseback riding around Pine Ridge in the crisp morning air to riding in an open-air Jeep along the buttes. Visitors can get to know the rich history of this historic outpost, from the Native days to World War II, via the museum and restored or reconstructed buildings within the park. Pioneers Park Nature Center doubles as a wildlife sanctuary and environmental education center in Lincoln, Nebraska. The family-friendly center has 8 miles of trails that meander through a tallgrass prairie, wetlands area, and woodlands area. There are two interpretive buildings at the center, with interactive and small animal exhibits. The Edna Shields Natural Play Area is an outdoor space for kids to romp, dig, climb, and build. 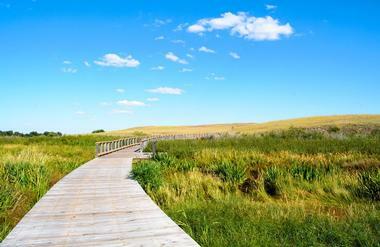 They also have instructive children’s, prairie, bird, and herb gardens. Hiking paths pass by raptor, deer, bison, and elk exhibits. The center offers an array of programs for preschoolers, school children, and scouts. Admission is free, but donations are accepted. 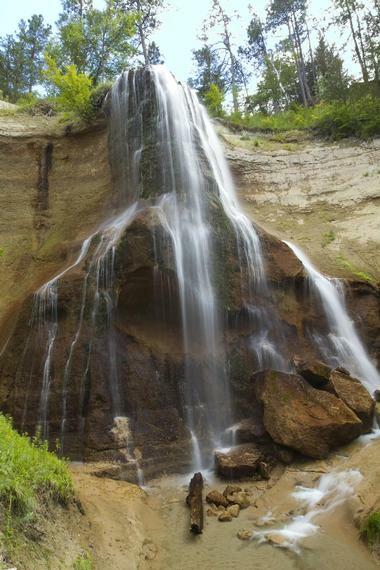 Many of the waterfalls in Nebraska are within the western Nebraska Sandhills near the Niobrara River. Smith Falls State Park straddles the river and offers visitors a look at the grandest Nebraska waterfall of them all, reaching nearly 70 feet – Smith Falls. The park, located 18 miles east of Valentine, Nebraska, does have overnight primitive camping on either side of the river, but no RV camping facilities. Day-use activities are more likely here. Visitors can hike a web of trails on either side of the Niobrara River that are connected by a footbridge that crosses it. Besides the park’s grandest waterfall, there are several smaller ones that will surprise hikers along the way. The Chimney Rock National Historic Site is known as the most famous historic landmark on the Oregon-California Trail. 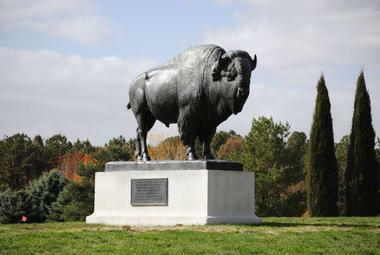 It was established as a historic landmark in 1956 and is located in the valley of the North Platte River. The site gets its name from the formation of the rock, which sits erect like that of a chimney on a house. 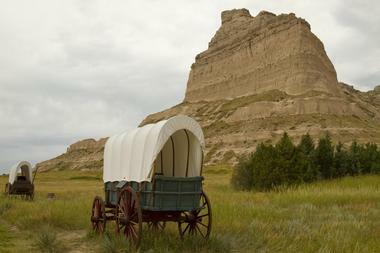 The Ethel and Christopher J. Abbott Visitor Center at Chimney Rock avails visitors of several museum exhibits, a video presentation of the history of West migration, and offers guests the chance to “pack” their own wagon. There are also various books offered for purchase on the area’s history. Lake McConaughy is the largest reservoir in Nebraska with 100 miles of shoreline, white sand beaches, and plenty of water sports activities. Lake Mac, as it is adoringly called by locals, is located 8 miles north of the small Nebraska farm town of Ogallala, Nebraska, adjacent to the Sandhills. This is a fisherman’s dream destination, with a potential for catching rainbow trout; white, striped, and smallmouth bass; and the revered walleye. Summer also brings sailboaters, windsurfers, water skiers, scuba divers, and swimmers. During fall, waterfowl hunting is popular, and in winter, ice fishing takes center stage. 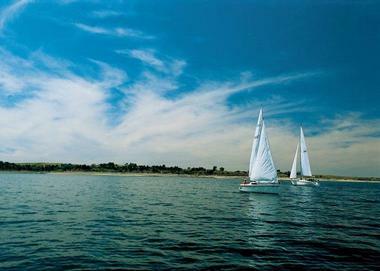 Lake McConaughy is a year-round vacation destination. The Agate Fossil Beds National Monument is one of the world’s richest Miocene Epoch sites for discovering fossilized mammals from 23 to 5.3 million years ago. The visitors center and museum showcase replicas of recovered Miocene species and collections of Lakota Indian artifacts. Visitors can walk two main trails from the visitors center. The Daemonelix Trail, also known as Devil’s Corkscrew, leads guests through sand dunes and grassland to a lookout with a view of the high plains and the Rocky Mountains. The Fossil Hills Trail leads to the famous quarries where paleontologists discovered some of the world’s most complete fossilized skeletons. The Omaha Public Power District Arboretum is an education and demonstration park where visitors and homeowners can learn about landscaping and planting trees and shrubs in relation to aboveground and buried power lines and electrical equipment. It also demonstrates the plantings vital to energy conservation. Visitors can explore six areas of the park: Electrical safety education, substation functions, transmission line demonstration, wildlife and erosion-control planting, trees that can be planted near power lines, and a forested trail system. There are paved and woodchip trails throughout the park connecting the six educational areas. It offers a tranquil urban setting for a leisurely stroll. 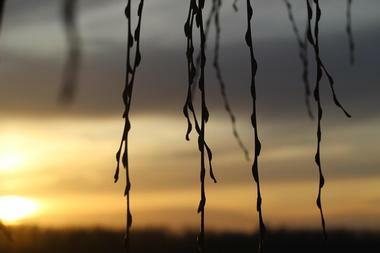 Fontenelle Forest is divided into five distinctly different ecosystems, each with its own trails and attractions. The hub of the forest is the Fontenelle Forest Nature Center, where you can view rotating exhibits and get maps of your preferred section of the forest. From here, you can take the wooden 1-mile Riverview Boardwalk as an introduction to the forest or begin an exploration of the other four ecosystems. Walk the flat, sandy trails of the northern floodplains, the tranquil sloping hills of the northern uplands, the steep hills and deep ravines of the southern uplands, or the marshes of the southern floodplains. 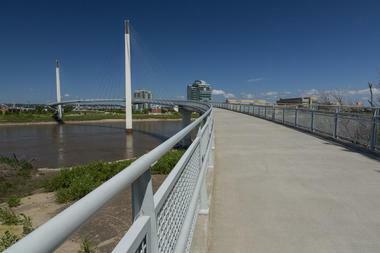 The Bob Kerrey Pedestrian Bridge is an s-curved 3000-foot cable bridge spanning the Missouri River between Omaha, Nebraska, and Council Bluffs, Iowa. As visitors walk across the bridge, they come to a place where they can literally stand with one foot in Nebraska and the other in Iowa, which offers a nice photo opportunity. At the Omaha end, Omaha Plaza provides a place for visitors to sit while they admire the bridge and the river or splash about in the jet-spray fountain. There is also a visitors center and children’s play area. The best time to see the bridge is at night when it and the Omaha skyline are lit. 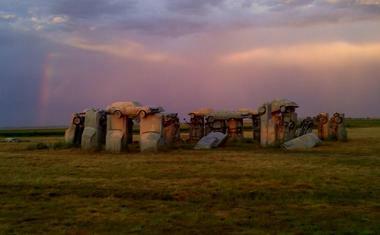 Carhenge outside Alliance, Nebraska, is the local tongue-in-cheek Stonehenge. Originally built as a son’s tribute to his father, it has become the town’s biggest tourist attraction. The Stonehenge replica was built on the western end of the Sandhills using vintage cars painted grey to resemble stone. Besides the circle of cars, Carhenge is home to a Car Art Preserve peppered with quirky sculptures also created from cars and car parts. First dedicated during the summer solstice of 1987, the 30-year-old structure is a fun place to be during a solar eclipse. The free attraction is open daily. Donations are welcome. 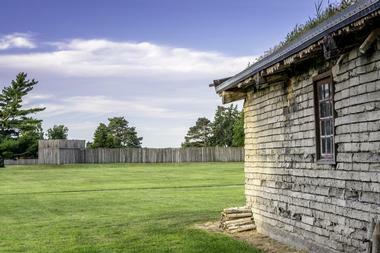 The Homestead National Monument is dedicated to early homesteading across America, from Daniel Freeman, the first homesteader, to Kenneth Deardorff, the last. The museum houses archeological and historical artifacts, archival documents, and scientific specimens totaling 60,000 items. Highlights at the national monument include the Homestead Heritage Center with interactive exhibits; the Palmer-Epard Cabin, a restored prairie cabin; the Freeman School, a one-room prairie schoolhouse; and an education center with farm tool exhibits. 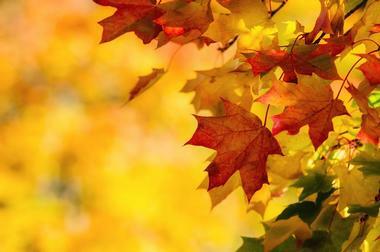 There is a quilt tour, an audio walking tour, tallgrass prairie and woodland hiking, and EarthCaching. An onsite bookstore offers adults’ and children’s books on pioneer life and the Westward Expansion. 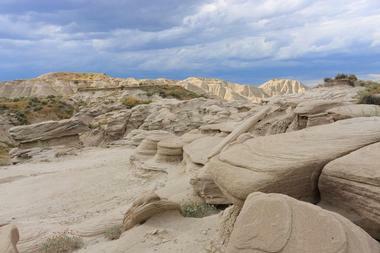 Toadstool Geologic Park is one of the must-see natural attractions in Nebraska’s northwest corner. Dirt roads dominate the 19-mile drive from Crawford, Nebraska, to Toadstool; it’s an off-the-beaten-path experience that is well worth it. The badlands-like scenery made from banded layers of volcanic ash and sediments created by flooding is a surreal vision. Here, paleontologists study forms and fossils from millions of years ago. Visitors can take a fascinating guided walking tour or choose self-guided exploration on a 1-mile loop trail. Besides the other-worldly scenery, there are bountiful prehistoric fossils and a 30-million-year-old trackway of migratory bird and animal tracks preserved in stone. Removing fossils is prohibited. 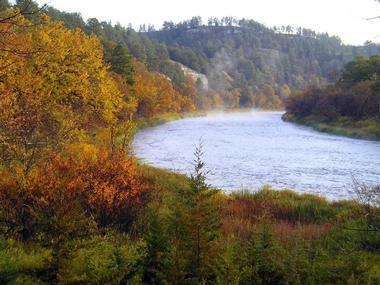 A visit to the Niobrara National Scenic River begins in Valentine, Nebraska, where visitors can learn about the history and culture of the river and the surrounding Sandhills area. A good place to start is the Cherry County Historical Society Museum and Centennial Hall, located in a repurposed 1897 schoolhouse; it has 12 exhibit rooms. The Niobrara National Scenic River Visitor Center offers interactive displays, a short film, and a small store. Other visitors centers along the river include the Fort Niobrara National Wildlife Refuge, Smith Falls State Park, and the Niobrara Valley Preserve. Guided walking tours are sometimes available at the wildlife refuge or the falls. 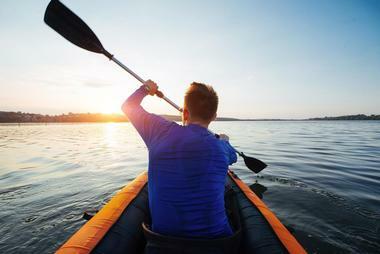 Numerous private outfitters provide canoe and kayak rentals and river tours. 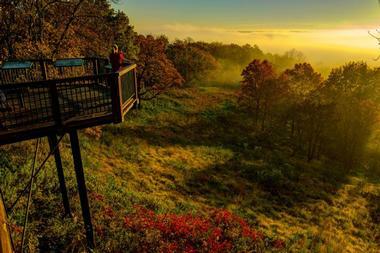 Ponca State Park is 1,400 acres of dense woodlands along the rolling Missouri River bluffs of northeastern Nebraska. 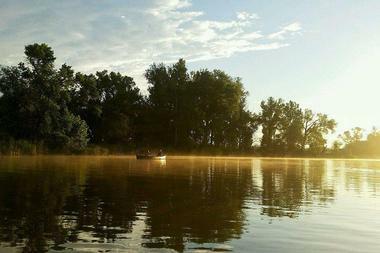 This portion of the Missouri is a designated Scenic River, and it’s easy to see why. The park provides overnight accommodations at 14 cabins and full-hookup or primitive camping sites. There are 20 miles of backcountry hiking and mountain biking trails, a swimming pool, organized horseback rides, a 9-hole golf course, fall hayrides, and holiday weekend cookouts. Guests can learn wilderness survival, backpacking, and fishing skills, among others, in park programs. An interpretive exhibit, a field lab, and the park office are in an onsite resource and education center. Courthouse and Jail Rocks are two awe-inspiring, prominent rock formations near Bridgeport, Nebraska, with historical significance. Already over 4,000 feet above sea level, they stand 240 feet taller, with Courthouse being the more imposing of the two. Emigrants to the West who traveled along the Oregon and California overland trails in the 1800s would see these as the first two monumental rock landmarks along the journey. The Dismal River confluence archeological site to the northwest of the rock formations reveals artifacts from Native Americans stretching as far back as 1675. 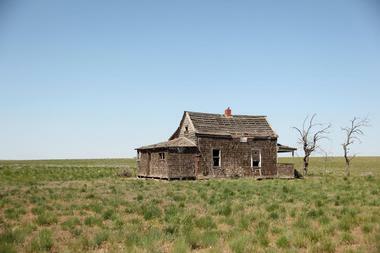 To the southwest of the rocks, visitors will see what remains of the Courthouse Pony Express station. 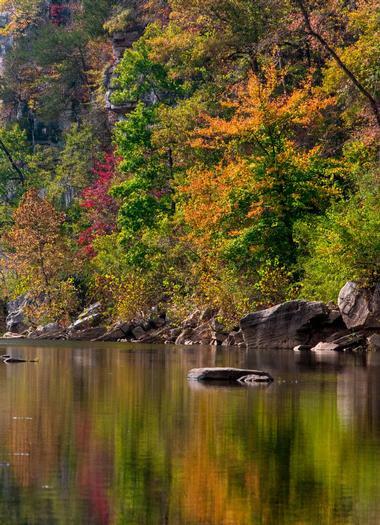 Indian Cave State Park is a dense hardwood forest on the scenic bluffs of the Missouri River. This wilderness area is a nature lover’s dream getaway. The park has 22 miles of hiking trails and is perfect for backpacking, with several Adirondack shelters along the way. There are also RV and primitive campgrounds at the park as well as a special campground for visitors who come with their own horses. Besides hiking and biking, seasonal horseback trail riding is also available. Other highlights include a restored schoolhouse and general store, a group picnic shelter, and a river access boat ramp.